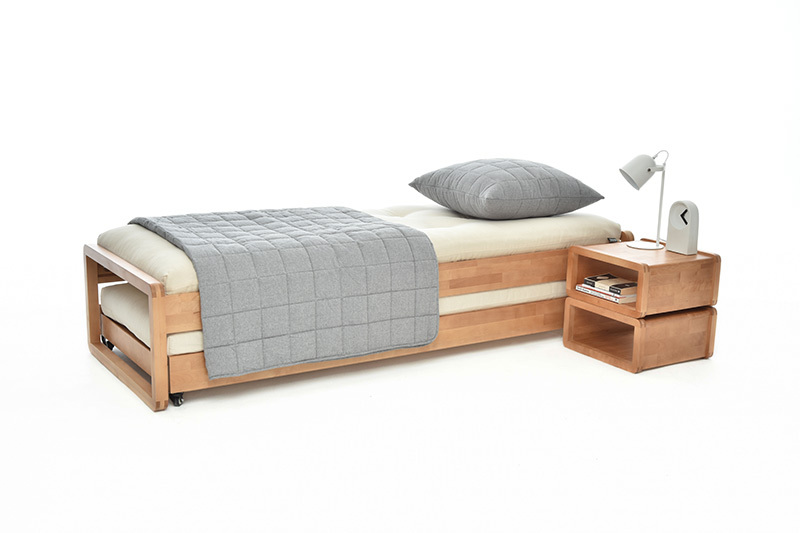 Sleep easy, our appealing Trundle Bed made from birch is perfectly designed for space saving living. A slim single with a second bed cleverly stored underneath, this svelte saviour comes to life at night, cleverly transforming into a sleep space for two. 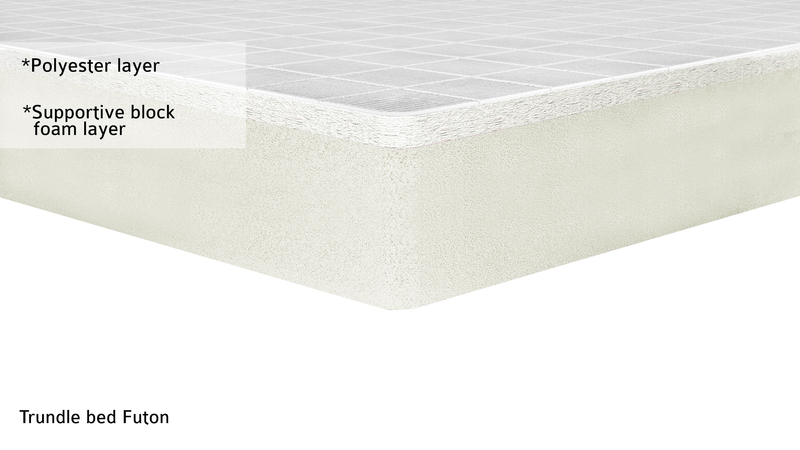 The lower bed can be easily rolled out and then locked securely to prevent movement. Combining space saving savvy with modern practicality, this pretty piece is clearly a case of ‘twice as nice’ in more ways than one! 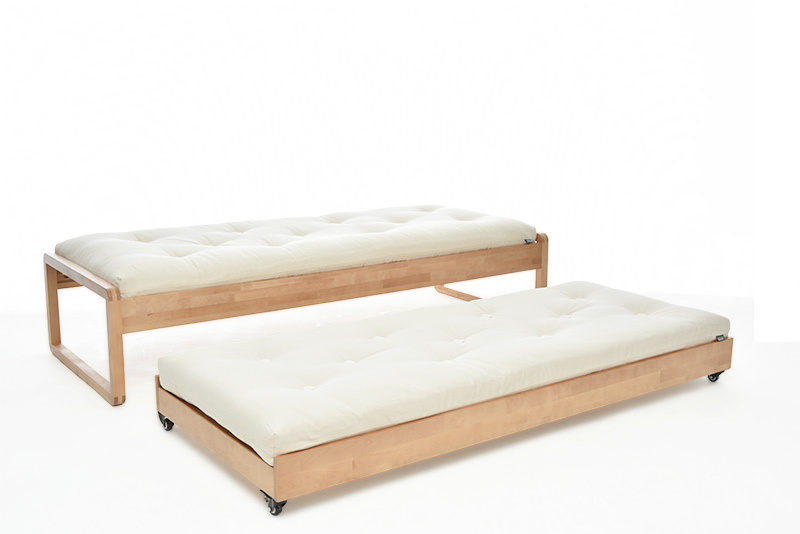 Our Trundle bed futons are custom made with a supportive foam base topped with dreamy Dacron for added comfort. Price includes Trundle bed frame and two futons.